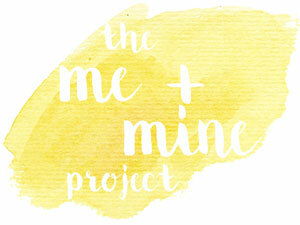 Joining up with the Me and Mine Family Portrait Project with these photos of our family for June. A picture in a more unusual setting! We spent a lot of time in the swimming pool on our Center Parcs holiday this month. I was worried about dropping my phone so we only took a couple of pictures but my nephew managed to capture this one. These selfies were taken on the last day of our holiday. Of course, Little Miss A was making faces! - The absolute highlight of this month was our holiday to Center Parcs Sherwood. We were so fortunate that the amazing Willow Foundation charity organised this for us as my Breast Cancer Care Nurse had nominated us. We had such a brilliant time and it was so nice to spend some quality family time away. - I took the kids to the Helsby Fun Day. There was a whole variety of activities and Little Miss A got to try a climbing wall, rugby and tennis. She also liked the bouncy castle and fun fair rides. Mr MoaB had a stall there with his work so it was nice to be able to see him too! - Little Miss A got her first gym badge at her new gymnastics class - Gym Stars with Total Gymnastics. This came at the end of her first term with them and she's really enjoying it and starting to make some new friends. - The kids and I met up for lunch with one of my best friends and her little boy. She lives in Brighton but luckily for us her family are up North and it means so much that she finds time on her visits to see us too! - The preparations for Little Miss A starting school in September have started. I took her school uniform shopping this month. She looked so cute in the pinafore dress! I also went along to the Parents Information Evening. I love the school she's going to and am so excited for her! - For Father's Day this month we were lucky enough to enjoy a lunch out at a local pub as I won a competition. It was nice to be able to treat Mr MoaB for being such a great Daddy! - The kids and I enjoyed a book themed day out at the Manchester Children's Book Festival. There was so much to do and see. A great day out. - Little Miss A started swimming lessons. She hasn't been to lessons for quite a while but we were reminded how much she loves being in the water whilst on our holiday as we were swimming every day. Fortuitously the leisure centre called and said that there were spaces available as I'd put her name down when we first moved. Hopefully she'll now learn to use her arms properly! - Sunny days in the garden! Has been great fun getting out in the garden and there's been lots of water play. Shame the month has ended with damp, wet weather but here's hoping summer comes back soon! - Sadly our family dog passed away this month. Sassy was my parents dog and then we looked after her for 5 months at the end of last year. My niece took over her care as it was difficult for us after our move and with my cancer treatment. She was such a good, lovely dog and will be greatly missed. - Baby R had is 1 year immunisations. Fortunately he didn't suffer too badly afterwards. - Two sessions of cancer treatment for me this month. It's becoming the norm now as it's every 3 weeks. So far so good with very minimal side effects. I actually feel really good at the moment and people keep commenting saying so, which is nice. Thanks Alex. It's always nice to go away and have a change of scenery. Puts everything in to perspective. Happy 1st Birthday Baby R!